Bio: Takeyce Walter is an artist and art instructor who finds her inspiration in the landscape. Her paintings feature the rural landscape of upstate New York, the Adirondacks, Cape Cod, and Vermont. Walter is especially inspired by, and drawn to rivers, lakes, and the ocean. She is fortunate to live in close proximity to the Hudson, Mohawk, and Au Sable Rivers and visits the beaches of Cape Cod during the summer. In addition to exhibiting her paintings online, she also exhibits in local venues and has had many shows both group and solo siunce 2006. 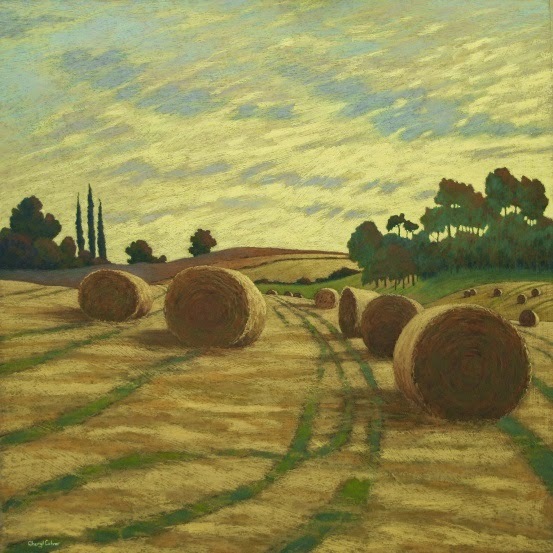 Her work is represented in many private collections in the US and internationally. 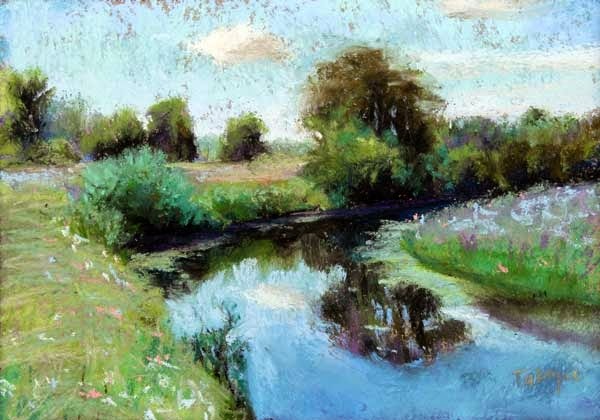 Takeyce is an Associate Member, Pastel Society of America, member of the Adirondack Pastel Society and Art Instructor, Saratoga Arts 2013 to Present. Image View: Thumbnails enlarge in a viewer on same page, and may be saved; information on size or medium is provided only occasionally, although the title comes up on resting the cursor on the image – it would have been so easy to add the medium and size too. Images can also be viewed as slideshow. Spring Landscape is 3.5 x 5 ins. Blog: Yes - http://takeyceart.com/home/blog/ Takeyce Walter’s return to painting in 2005 has been documented on her blog. She made a commitment to finishing at least one painting a week and started blogging to help track her progress. Takeyce has maintained that commitment and is still painting productively. One can never have enough pastels! All pastel artists know this. So when a new range is introduced to the market it is a major event. 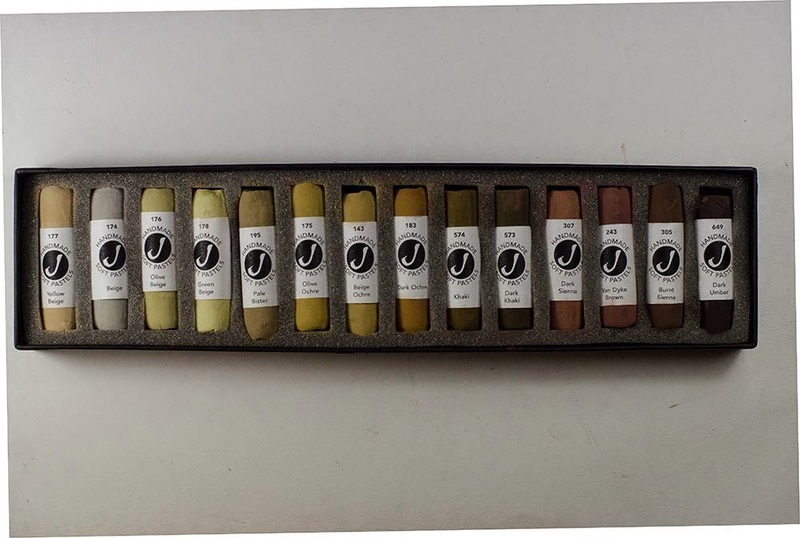 And when the range is of the extent and quality of Jackson's Handmade Soft Pastels, it has to be investigated and tried out. This blog concentrates on reviewing the websites of artists who work in pastel; but when a new product of this quality comes on the market, I regard it almost as a duty to review it. Jacksons recently introduced a range of hard, square pastels which are ideal for a beginner to trial, although they naturally lack the covering power of softer sticks, But that clearly is not their purpose as Jacksons have now brought to market a range of 200 handmade Soft Pastels of high professional quality. These hand-rolled pastels are formed with the lightest of touches, so as not to over compress the pastel ingredients. The low binder to pigment ratio of these sticks allows for both subtle and bold mark making. The pastels are 2 inches (50 mm) in length and about 5/8 inch thick. They are ideal for "painting" as the pastels glide smoothly onto paper. The results of my initial trial are featured here. The paper used is a blue-grey Tiziano from Fabriano. It is not unlike Canson, with a laid, slightly dimpled surface. 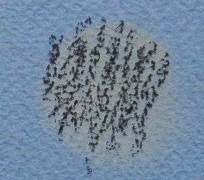 The top row is the set stroked gently on to the paper showing the coverage when used like this. The second row is the same set, blended into the support; you can see that the coverage is complete. I also blended a dark and a light on to the surface, and glazed over with a light and dark respectively. The results show a distinct glaze, with each colour quite discrete. I also compared the hardest stick in this range (dark hues tend to be somewhat harder than light hues) with a corresponding hue from Sennelier and Blue Earth. 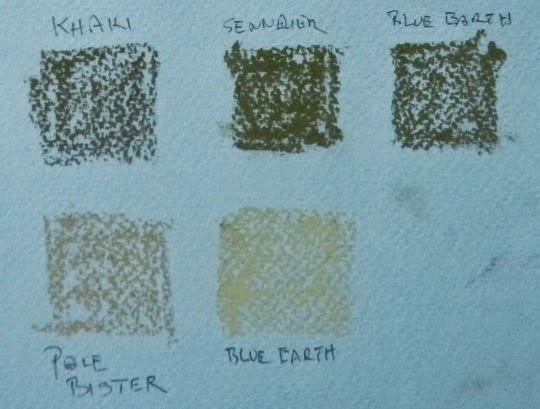 This demonstrated that the latter two are somewhat softer in this khaki colour; and the Blue Earth is also softer than the Light Bister from Jacksons. 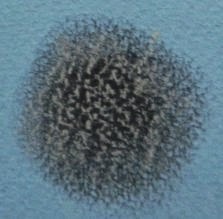 However, the Jacksons may have the edge for a multi-purpose stick as the very soft pastels, like Blue Earth, and Schminke, are difficult to paint with in a precise manner and lend themselves to an impressionist approach, or as a final reserve for highlights and end strokes. That said, Jacksons are very smooth and buttery - much softer than, say, Rembrandt. This last image is of four adjacent values blended to give a continuous range. A range of 200 is a generous selection, and not unattainable at about £1.50 per stick. I tend to buy my pastels in sets of adjacent hues or values; the beige set featured here is an excellent set of neutral colours; I also like the greys, and the blue range is very desirable. These pastels are worth a trial by any serious pastellist, and a worth addition to the canon. I am using them already!